Probably Cladonia uncialis. 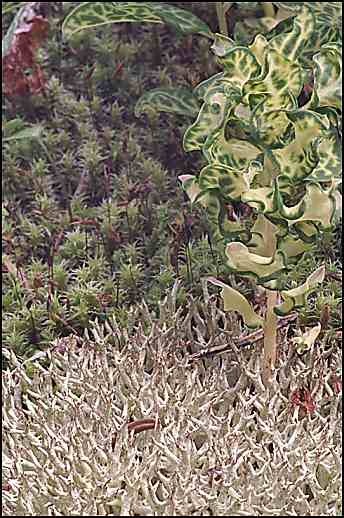 The Vascular plant with variegated leaves is a chlorotic, semi-parasitic Timberberry which frequently grows in lichen. The moss in the background is a type of Polytrichum.